Take the ferry for a leisurely and efficient way to get on the island. Food prices are expensive; try and eat beforehand. Bring a fanny pack or spibelt and wear it in front of you to protect your phone while you dance. Security is tight, lots of undercover cops and dogs. Where is Electric Zoo located? 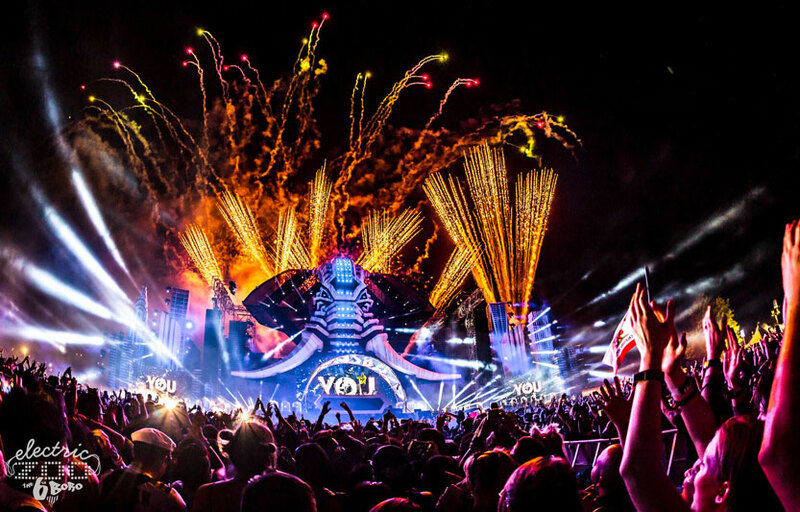 Electric Zoo NYC is located at Randall’s Island in New York City. 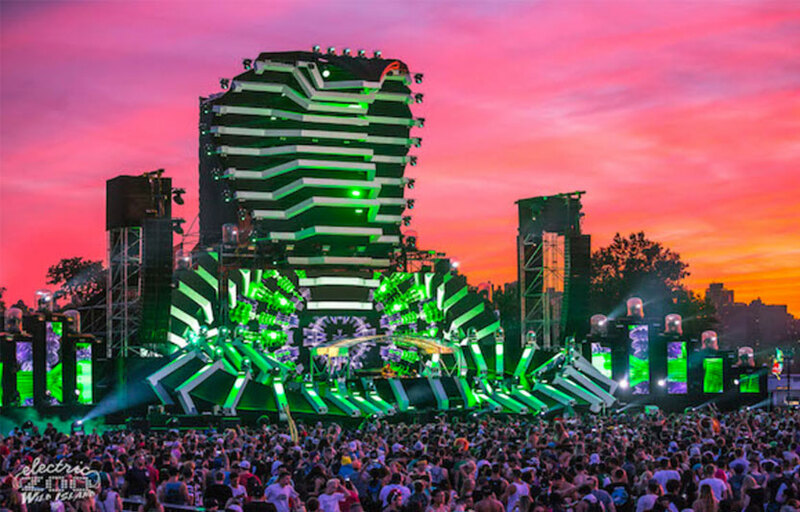 What are the dates of Electric Zoo 2019? Electric Zoo: The Big 10 will take place on Friday August 31st, Saturday September 1st, and Sunday September 2nd. What time do doors open at Electric Zoo? What time does Electric Zoo end? Doors open at 11 AM, and the festivities end at 11 PM daily. 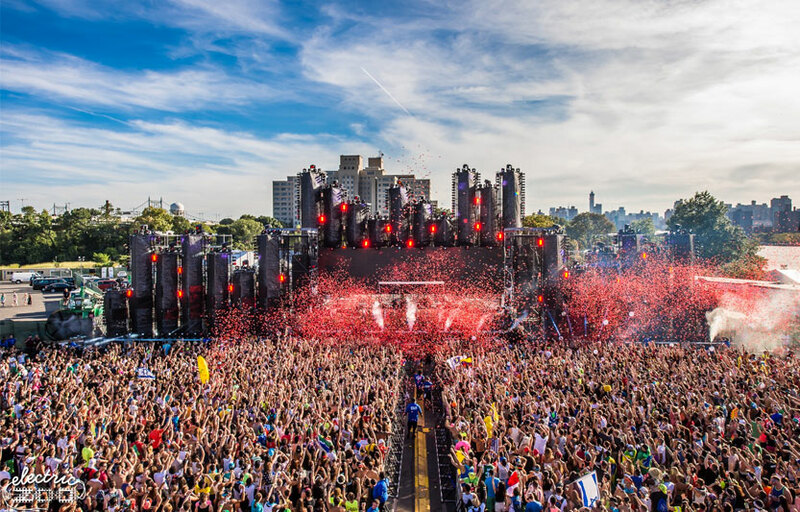 Admission to Electric Zoo New York is strictly for ages 18 and over. To purchase and consume alcohol or to purchase and/or use VIP Experience or Platinum Experience passes, you must be at least 21 years of age. Everyone must show valid government-issued photo ID (photocopies will not be accepted). What time do the doors open each day? The doors open at 3pm on Friday, August 31st; and at 1pm on Saturday and Sunday, September 1st and 2nd. Will there be lockers at Electric Zoo? Lockers will be available for purchase as an add-­on to your Electric Zoo pass and will remain available for purchase until the festival. There will be a limited quantity of lockers for purchase on­site and at higher rates; we recommend purchasing your locker ahead of time. Lockers will be to your disposal Friday through Sunday. Each locker comes with a USB port, as well as your choice of the cord suited to fit your cell phones, tablets, or digital cameras so that you can remain charged and connected at all times throughout the weekend. Is there in and outs / re-entry into Ezoo? No, you can’t re-enter the venue. Can I leave the site and come back in if I’m a VIP or Platinum customer? No. Once you leave the festival grounds, you may not re­-enter. You may only re-­enter the next day of the festival with your 3­-day pass or single day pass if valid for that day. Will there be any food and beverages available for sale? Yes, there will be a wide variety of food options, including burgers, hot dogs and pizza, as well as many other local and vegetarian/vegan choices. These include some of our favorite New York City street vendors. There will be a variety of non-alcoholic beverages, plus beer, wine and champagne for those over the age of 21. Mixed drinks/liquor will only be available for purchase in the VIP lounge, which is only accessible by those who purchase a VIP Experience or Platinum Experience. I have special dietary needs- will there be food for me? There are medical aid stations marked with a red cross in the four corners of the park to insure you’re never too far away from help. Check out the map in the center of the booklet that you’ll receive when you get to the festival to familiarize yourself with the location of the medical aid stations which are staffed with emergency medical professionals, and have plenty of water if you need it. Electric Zoo is a rain or shine event. You can enjoy your time at Electric Zoo under all generally safe weather conditions. Our rain or shine policy is subject to safety requirements. We would never put you in harms way in extreme cases of dangerous weather. What items are prohibited from EZOO? Where can I find an list of upcoming events / DJs at Electric Zoo? You can download the Discotech app to see upcoming events for Electric Zoo.